No matter where they are on the body, psoriatic lesions are frustrating, itchy, and uncomfortable. Many of us suffer from psoriasis on noticeable parts of the body, but others have it in more conspicuous areas, like the scalp. Scalp psoriasis is different from dandruff because it begins in the immune system. Your skin cells regenerate before your body can clear the dead ones, but scalp psoriasis still results in embarrassing flakes in your hair and on your shoulders. Chances are, shampoos on the drugstore shelves contain chemicals that are too harsh for your sensitive skin, so you probably find your condition tough to manage. Here are 5 strategies to help those wondering how to heal scalp psoriasis. Yes, flaky patches of dry skin anywhere on the body are tempting, but if you pick at your psoriatic lesions, you’re just asking for trouble. Sure, (gently!) removing the flakes gives your topical treatment more of a chance to penetrate the skin. If this is your plan, use an oil or a wet toothbrush and carefully loosen the flakes. The key here is to use as little pressure as possible when removing the flakes; too much pressure increases inflammation, causes itching, and could lead to infection. Ever notice that your flare-ups seem to coincide with the busier times in your life? Our skin negatively responds to stress, so any condition that you have worsens during stressful periods. We know that your to-do list is impossible to escape completely, so we recommend taking a little time for yourself! Find an activity that takes you to your happy place and incorporate it into your daily routine. As we mentioned before, shampoos formulated for normal hair and scalps are too harsh for those of us with scalp psoriasis. Medicated shampoos are a good option here. Massage it gently into your scalp and wait 5 minutes before rinsing. If you’re worried about the medicinal smell of topical treatments, you can always follow up with your favorite shampoo and conditioner, as long as it doesn’t touch your scalp. If you have scalp psoriasis, the skin of your scalp is already inflamed. Don’t add fuel to the fire by applying additional heat to your scalp and hair. Increased inflammation can also increase itching, so we suggest sparing yourself the discomfort and retiring your heat tools until your psoriasis heals. We know they’re annoying, but flakes on your shoulders is just another part of having scalp psoriasis. These flakes are much more noticeable when you have darker clothing on. We suggest wearing light-colored clothing until your condition clears up. Confidence booster? Definitely! Whether you suffer from scalp psoriasis or you have psoriatic lesions on other parts of your body, we’re here to help. 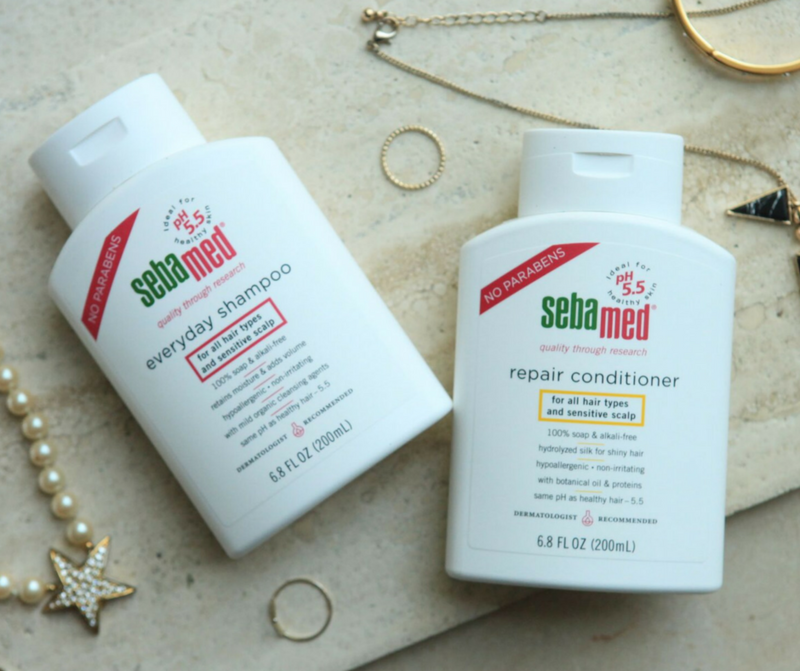 Sebamed offers a wide variety of hair care and skin care products that promote healthy skin with every use. Check out our complete collection here. I have scaly neck because of prosiasis can you help me what lotion I should order. Hi Corazon 🙂 Many of our customers with psoriasis find relief using either our Fragrance Free Gentle Hydrating Lotion or our Extreme Dry Skin Repair Lotion.